Styled with easton pant . The refined halter top. 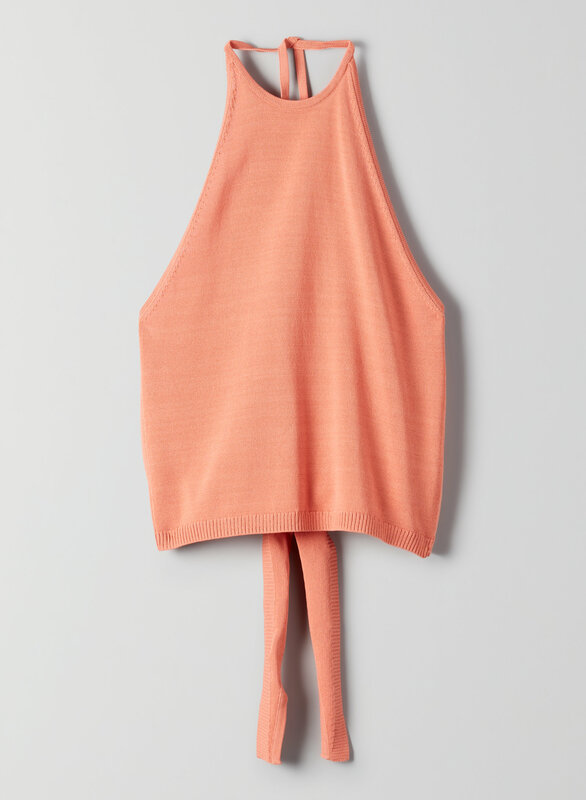 This halter top has a criss-cross back and tie front. It's made from a textural, lightweight yarn.